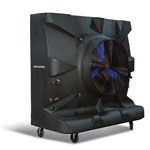 The Portacool Hurricane Series is designed to cool large industrial space ranging from 3,500 square feet all the way up to 6,250 square feet. 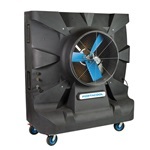 These impressive portable evaporative coolers are a reliable way to introduce a cooling breeze to a hot, stagnant enclosed space where workers demand comfort. 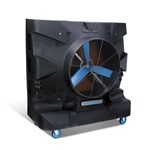 Portacool coolers are a reliable and effective means of keeping your workers cool but basic maintenance and repairs will need to be taken care of occasionally with certified parts. Shop.portacool.com sells certified parts directly to you for Portacool coolers and all of the Hurricane series models. No matter if you have the Hurricane 3600 or the Hurricane 370, we have the parts you need to keep your portable evap cooler running at its best. Buy your replacement evaporative media here for an affordable price to make sure you get the perfect fitting media to keep your Hurricane cooler working efficiently. Or if you need larger repairs, we carry the motors and fan assemblies you are looking for.